This three-fold adjustable dog lead with trimmed ornamental leather adornment can be combined with the dog collar AGORO. The distinctive design gives a stunning impression. 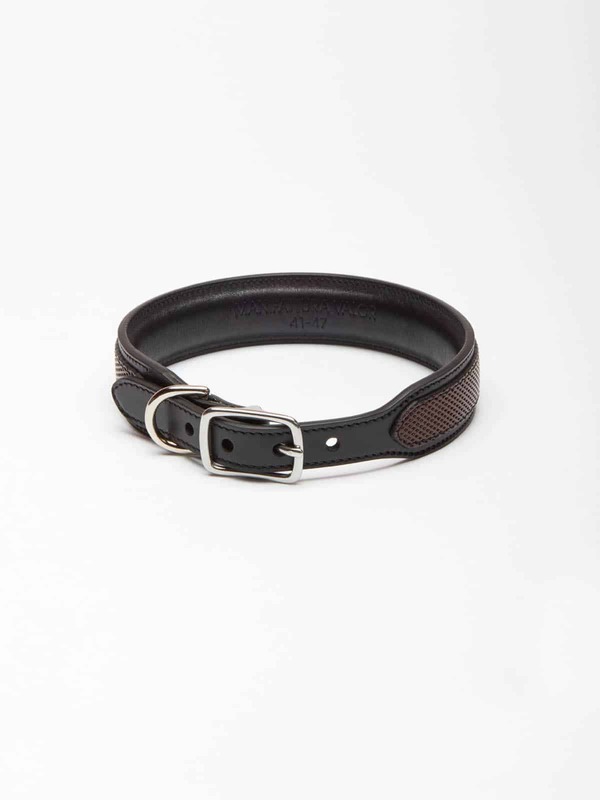 It lies pleasantly in the hand and provides a secure and reliable lead for your dog, thanks to the solidly incorporated metal rings. The ornamental leather band has been elaborately trimmed and presents a particular highlight. 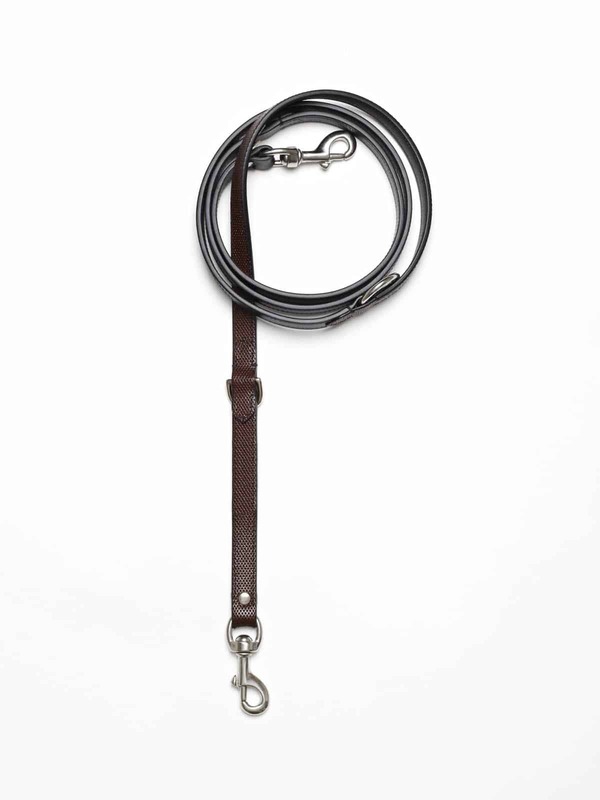 This dog set was designed to complement the horse halter SALTO.